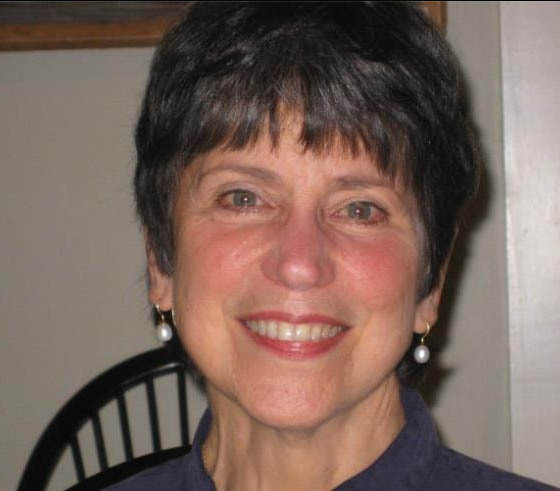 Established in 1971, Tilting at Windmills Gallery has grown from a small poster and framing shop to one of New England’s largest fine art galleries. Located in Manchester Vermont, the gallery features a broad selection of works by important national, regional and international artists. While quality and visual appeal are paramount in our choice of inventory, we also select with an eye towards investment and potential appreciation for our collectors. Over the years, some of the artists represented by Tilting at Windmills have chosen us to be their exclusive gallery. This means that you will find works by these fine artists only at Tilting at Windmills Gallery or on our web site. A world of fine art is housed in our spacious, comfortable,conveniently located gallery.Original oil and egg tempera paintings by artists both local and remote will transport you. These museum quality works are beautifully presented in award winning creative framing designed especially for each individual painting. You’ll also delight in our large selection of stone sculpture from Zimbabwe, Africa and original semi-precious gem sculptures from Canada. The work represented by Tilting at Windmills Gallery is a rich tapestry of color,creativity, and imagination,with a depth and diversity that is truly outstanding. The images displayed on this site are constantly changing as new works are received from our artists and other works are sold. We invite you to visit us often to experience exciting new works from all of our quality artists. If we can assist you with any additional information please let us know by clicking on the button to the left labeled “contact us”. Thank you for visiting. We look forward to your next visit, either online or in person at the Gallery. 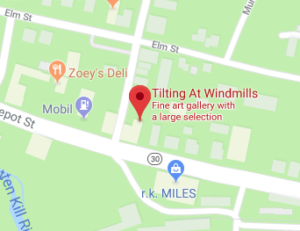 Tilting at Windmills Gallery, featuring an extensive collection of original fine art, is located in Manchester, Vermont. Manchester is approximately 3 1/2 Hours from New York City and 2 hours from Boston. Manchester, Vermont is a 4 season resort community close to ski areas, golfing, fine restaurants and high end retail shopping. Take Route 90 West (Mass Turnpike) to Springfield exit for route 91 north. Take exit 2 in Brattleboro VT, onto route 9 east. Take route 9 into Brattleboro and follow signs to VT route 30. Travel route 30 for approximately 45 miles until you reach Manchester Center. The gallery is approximately 1 mile from the route 7 highway overpass on the right at the corner of Routes 11/30 and Highland Ave.
Take NY route 7 from Albany to Vermont where it becomes VT route 9. Follow route 9 to Bennington, and then go north on VT route 7. Take exit 4 off of route 7. The Gallery will be on your right at the corner of Routes 11/30 and Highland Ave.